Born in Hillsboro, WV. Pearl S. Buck was a Pulitzer Prize winning author known the world over for such books as The Good Earth. The child of missionary parents, she grew up in China, and her writing later in life greatly influenced the change in Western perceptions of that nation. As part of the WV Writers Annual Writing Contest, our organization has teamed with the Pearl S. Buck Birthplace Foundation in Hillsboro to sponor the Pearl S. Buck Award for Writing for Social Change category of our 2013 contest. 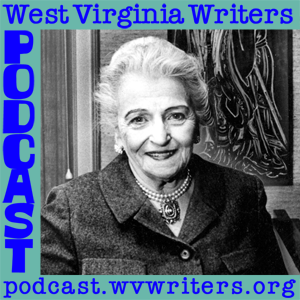 Joining host Eric Fritzius to talk about the award and about Pearl Buck herself, are Jolie Lewis,vice president of the board of directors for the Pearl S. Buck Birthpalce Foundation, and Dr. Edwina Pendarvis, a biographer of Buck's. TO DOWNLOAD: Right mouse click on the link below and choose Save Link Target As to save the file to your computer. Listen to it at your convenience using Windows Media Player (or whatever product Mac offers for media). 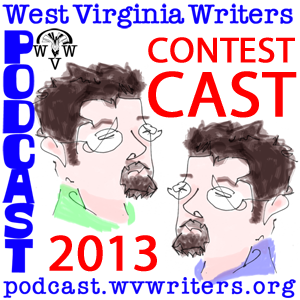 ContestCast 2013 serves as your primer for all things related to the WV Writers Annual Writing Contest for 2013, which accepts entries from January 2 through March 31. Joining host Eric Fritzius to help explain all the whys and wherefores of the contest is the 2013 Contest Coordinator, Eric Fritzius.